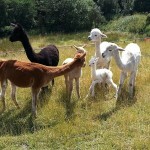 Castleside Alpacas is a local breeding herd of huacaya alpacas, registered with the British Alpaca Society. The herd was established in 2012. 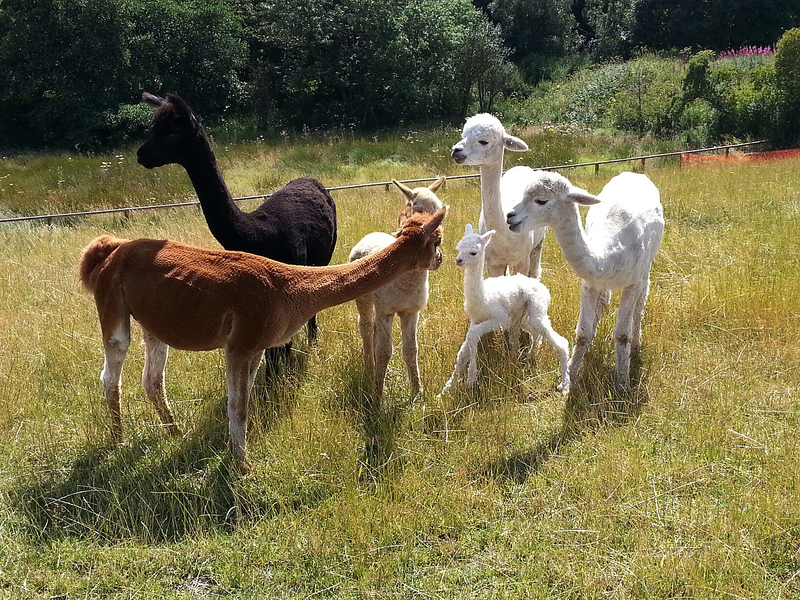 We have ten alpacas with three babies (cria) due in the summer of 2014. Due to limited capacity we have chosen to establish the Castleside herd based on quality rather than quantity. We rear friendly, healthy animals with high quality fleece. We produce beautiful yarn from each animal individually. The processing begins at home, selecting the best, or ‘blanket’, fleece from each alpaca and sorting it by hand to remove poorer quality fibres and plant material, which the alpacas seem to attract! The processing then continues at a specialist mill in the Borders which turns each fleece into yarn ready for use. No chemicals or dyes are used and the colour of the yarn is exactly the same as when the alpaca was sheared. Take a look at our alpacas here.